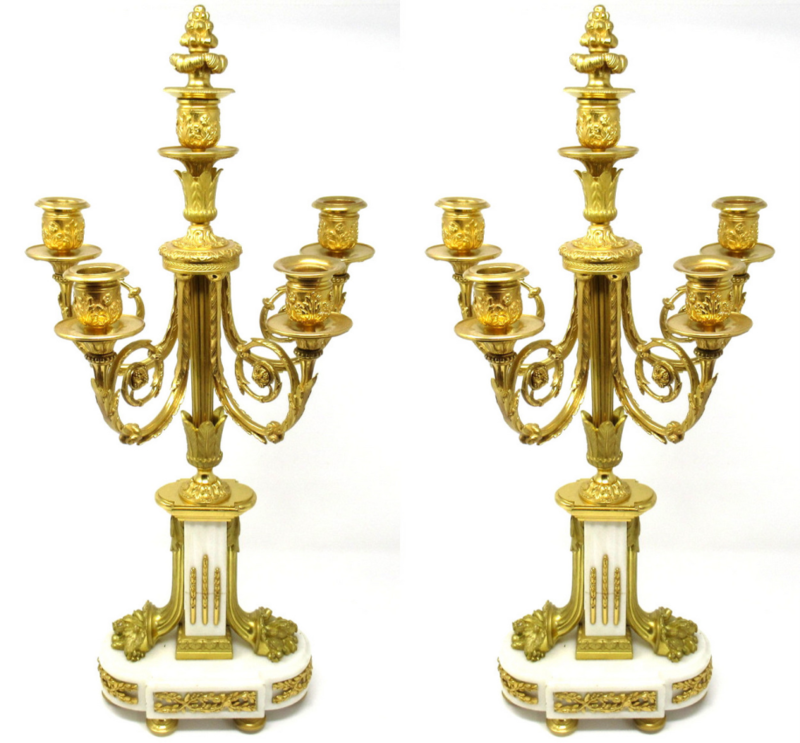 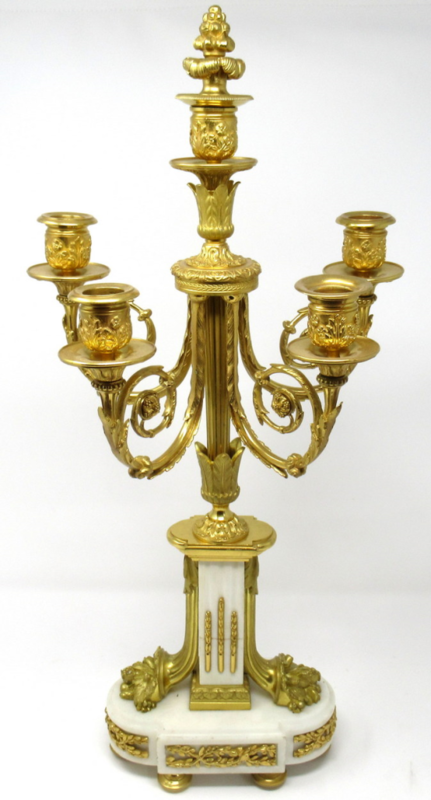 An Attractive Pair of French Ormolu & Statuatory Cream Marble Five Light Candelabra of impressive proportions and outstanding quality, third quarter of the Nineteenth Century, possibly earlier. 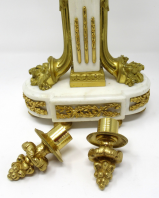 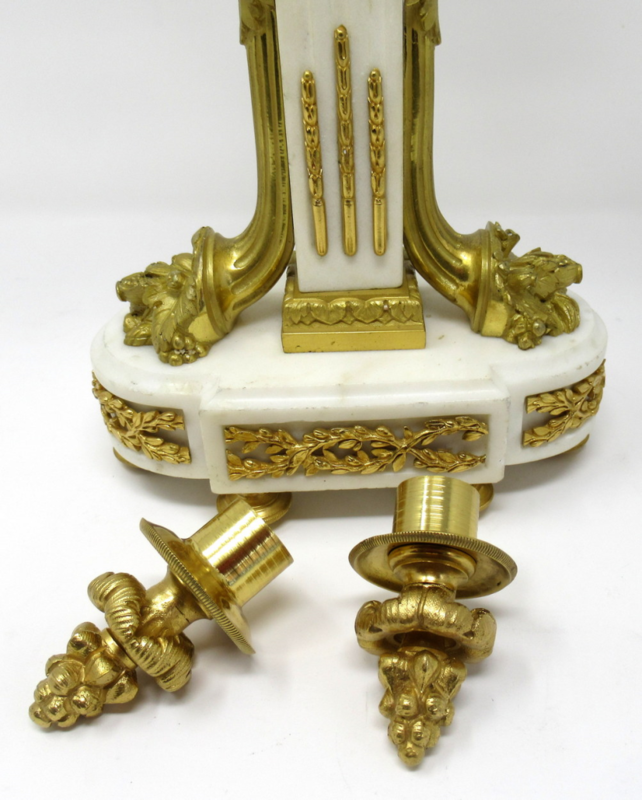 Each reeded marble central support flanked by stylish elaborate ormolu "horns of plenty" ending on a shaped marble base on four ormolu toupie feet. 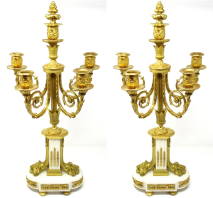 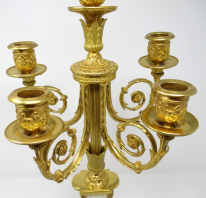 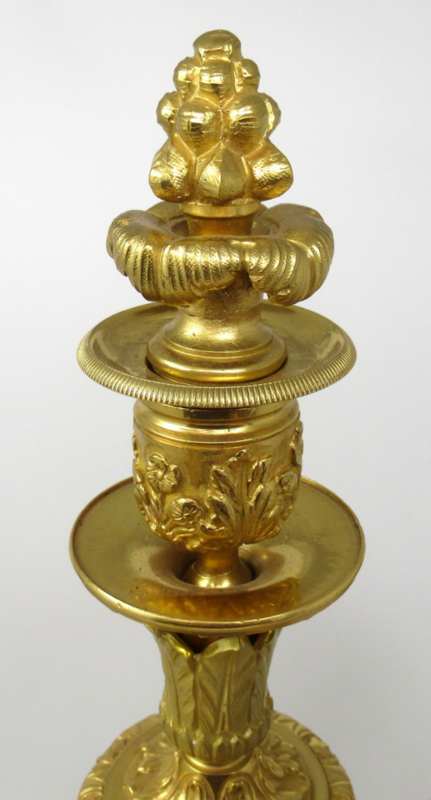 Condition: Good condition, no losses, nice surface patination, ormolu has been professionally re-gold plated. 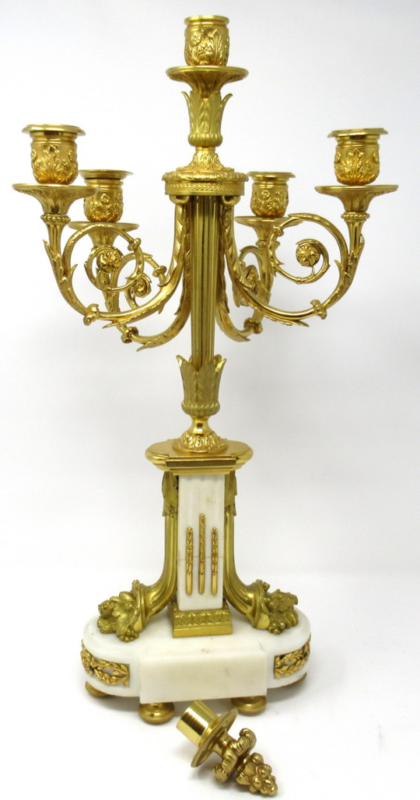 Height: 21" (53cm). 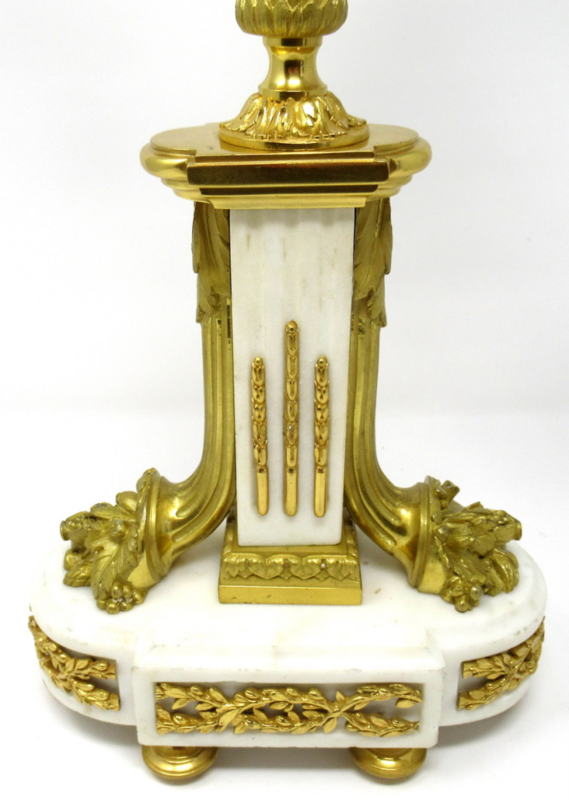 Width: (at widest) 9.75" (25cm). Width: (at base) 6.75" (17.25cm). Shipped to Kelstern, Louth, Lincolnshire, England.